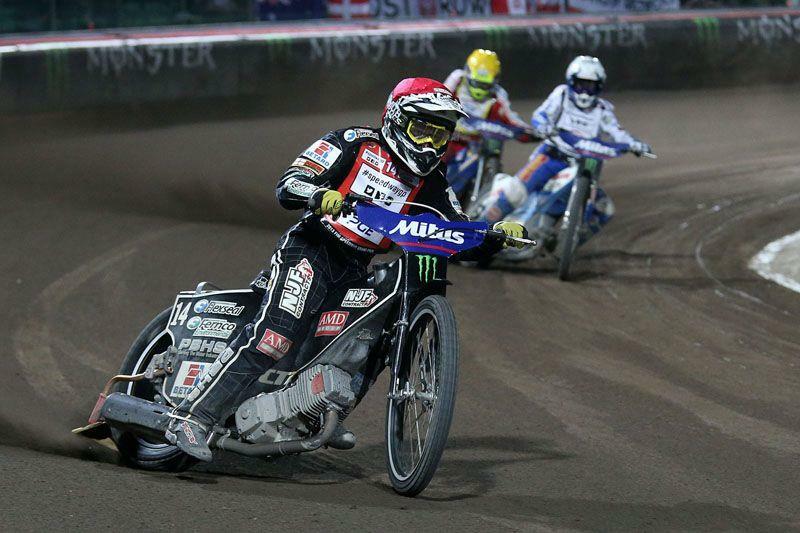 British rider Tai Woffinden took his country’s first speedway Grand Prix win in six years in Prague last night. The 22-year-old from Scunthorpe was the second highest scorer in the qualifying heats and earned a showdown in the deciding final race with the top qualifier, Russia’s Emil Sayfutdinov. When the Russian made a false start in the final and was excluded from the re-run of the race, it gave Woffinden a dream opportunity to win his first Grand Prix. He leapt from the start to gain a dominant advantage over the two remaining finalists, Denmark’s Nicki Pedersen and Polish racer Krzysztof Kasprzak. Pedersen’s third place finish was astonishing as he was riding with a broken left forearm, suffered in a crash with Woffinden at the previous GP just two weeks earlier. Woffinden has started the 2013 season brilliantly, making the semi-finals in the first two GPs of the year, racing to the final in the third round and now winning the fourth. His win at Prague’s Marketa Stadium leaves him second in the world championship standings, just one point behind Sayfutdinov. And the next round is Woffinden’s home GP, in front of 50,000 supporters at Cardiff’s Millennium Stadium on Saturday, June 1. Woffinden is the only full-time British rider in the Grand Prix series, but he will be joined at Cardiff by Cornishman Chris Harris, who was the last Brit to win a GP when he triumphed at Cardiff in 2007.